Keep in mind that I speak from the experience of a book/editorial illustrator. Other career paths, especially studio jobs such as animation/concept art, have slightly different expectations for portfolios. A bit of this and that. You have an eclectic assortment of sketches and mediums, usually with a big dose of fanart and/or anime, maybe a few portraits of family and friends. Or, maybe you only have a few drawings, and they're all almost the same. Either way, you may have some skills but overall your work shows a lack of fundamentals: composition, anatomy, perspective, shading, color theory. Everything is generally rough and unfinished, and sometimes collected on random scraps of paper from notebooks and sketchbooks. Study the fundamentals. Your portfolio isn't bad: it's just a beginner's portfolio. At this point, there's not much I can critique or review, because my advice would always be the same: study the fundamentals. 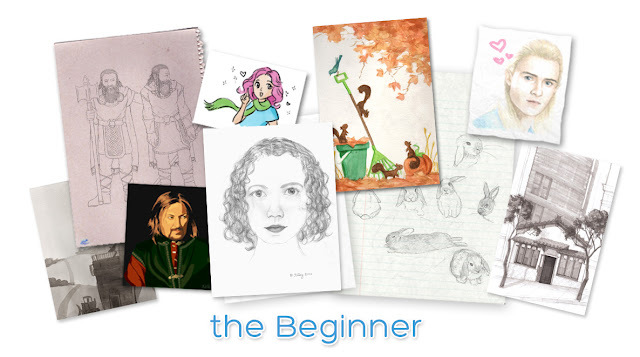 Sign up for some beginning art classes like figure drawing, chiaroscuro, color theory, etc, and draw as much as you can. I realize that sounds like shallow advice, but the only way past this stage is through instruction and practice, and that's the same for everybody. A good grasp of the fundamentals, but not a voice or a focus. Your drawings are clearly homework assignments, such as master studies, still lifes, portraits and figure drawings. Influenced by the tastes and requirements of different teachers, your drawings may vary radically in style. Besides homework, you may also have a mixture of fanart, logo designs, t-shirt designs, tattoo designs, or portraits of friends and family. Focus and declutter. Clearly you've got some solid drawing skills, but generally those aren't enough to land you a job. Eventually you want to start transitioning from "student" to "professional," and that usually involves doing a lot of work outside of school. Invest time into researching different illustration industries, and consuming large amounts of published art from those industries. Start creating art that fits in with that industry's style. Once you've finished your fundamental classes, try to find classes that teach more specialized skills that are aimed at specific industries. Wylie Beckert's "Creating a Targeted Portfolio Sample"
Promising, but an inconsistent level of skill and style. Some of your work shows the beginnings of an artistic voice and a good level of polish, but other drawings (usually older works) are less strong. Some of your pieces are clearly derivative of popular artists. You have lots of characters posing in front of simple backgrounds, or head-and-shoulders portraits of pretty ladies. You have a few anatomy problems here and there; maybe you avoid drawing hands, feet, or perspective. Keep going! You have some promising work in your portfolio, you just need more of it. Identify your strongest pieces, create more art in that direction, and start replacing the older stuff in your portfolio. Sheer quantity of practice will help you solidify your style and workflow, and will take you over that line into the realm of professionalism. Meanwhile, try to diversify your influences. Don't copy the style of any one or two of your favorite artists; look at many, many different artists and see what you can glean from all of them. Get personalized portfolio reviews, consider finding a mentor, and (like the student above) take classes that teach specialized skills that are aimed at the industry you want to get into. A cohesive style and consistent quality. 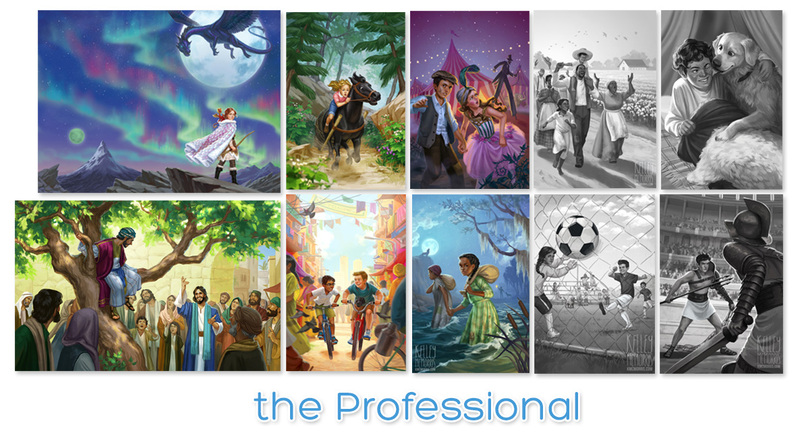 Whether the art is client work, personal work, homework or fanart, it's all fresh and creative and drawn in your unique style. A variety of subject matters, perspectives, and compositions showcase your range of skills. If multiple mediums are used, they all show the same level of quality. You've presented everything cleanly, both in physical and digital format. Focus on networking and marketing. If your portfolio is at this level, then you probably don't need my advice. But if, by chance, you're not getting decent work, then you need to focus your efforts on marketing and networking. You're creating good art, now you need to get it in front of the right people. Who "the right people" are depends on your career goals, so that's something you'll have to research on your own. If your art is this good then once you start investing time into marketing yourself, it's probably not going to take long before you get a break. So you're saying that my portfolio should look more like yours? Not mine specifically, no. 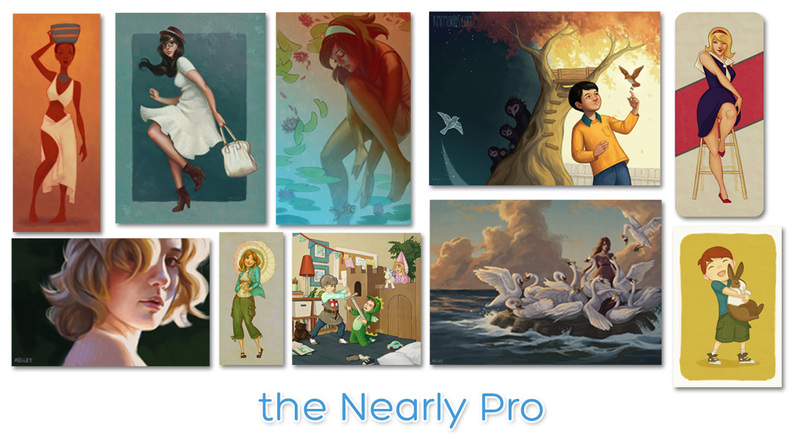 As you can see in the images in this post, over time my art became more complex, more realistic, and more colorful. But that's not everyone's path - some people's artwork may develop in a direction that's darker, more muted, more stylized or abstract. The point isn't for your art to look like mine; the point is that, however you draw, you need to develop consistency, in both skill and style. Your drawing style is similar to a personality. During your adolescent years you probably tried on various personalities before time and life experience sculpted the personality you have now. Similarly, your drawing style is already a part of you, and only through time spent drawing will it solidify into something recognizable. (And both personalities and drawing styles will continue to change over time.) Experiment, keep drawing and have fun. Eventually you will find something that feels "right," that (to borrow a phrase) "sparks joy." What if I want to work in multiple styles? Definitely possible, but hard to pull off. You'll have to avoid the "jack of all trades, master of none" look. Your portfolio will need to show that you're able to work consistently in different styles - which means that you'll need multiple samples of each style, and they all need to be good. A tall order; but if you can do it, you'll be attractive to a wide range of clients. What if I never went to art school? Do I skip the "student" portfolio? The point of the "student" portfolio type is that it's mainly composed of art that imitates other people's styles. A student imitates their teachers. 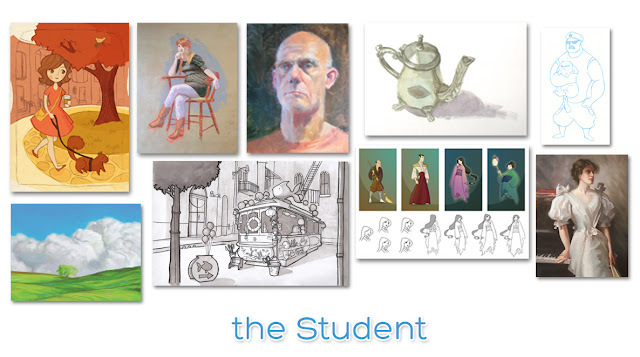 If you've never been a student, you're probably imitating artists you admire; they're kind of your informal teachers. This isn't bad, but it is something that you need to grow out of eventually. What's your problem with fanart? Often, when people draw fanart, they're exactly copying the style of the pop culture IP, or they're copying a photo of an actor/actress. This is fine if you just want to have fun, but that stuff doesn't do much for your portfolio. Most companies want to see something fresh and creative, not yet another Harley Quinn/BB-8/Deadpool/whatever character is popular now. If you want to do fanart, think about how you can put your own unique visual spin on it. (One big exception is if you're interested in licensing as a career. That means you would specialize in copying the styles of other IPs; for example, if Disney hired you to draw a Frozen coloring book.) Claire Hummel has a GREAT Twitter thread where she explains this better than I can. Can I ask you for a portfolio review? If your goal is to get into publishing, whether children's books or otherwise, then yeah you can email me. If you want to do something else, such as comics, animation, concept art, etc., then you would be better off asking a professional who works in those fields. I hope you guys found that helpful! If you feel like your portfolio matches one of the beginner, student, or nearly pro types, don't let that get you down. Everyone's portfolio goes through all four stages. No one is born clutching a fully-formed professional illustration portfolio in their tiny baby hands. If you're not where you want to be: keep going. Timely post. I was reviewing my posts and noticing an inconsistency with regards to subjects so I'm at the "Student" level. 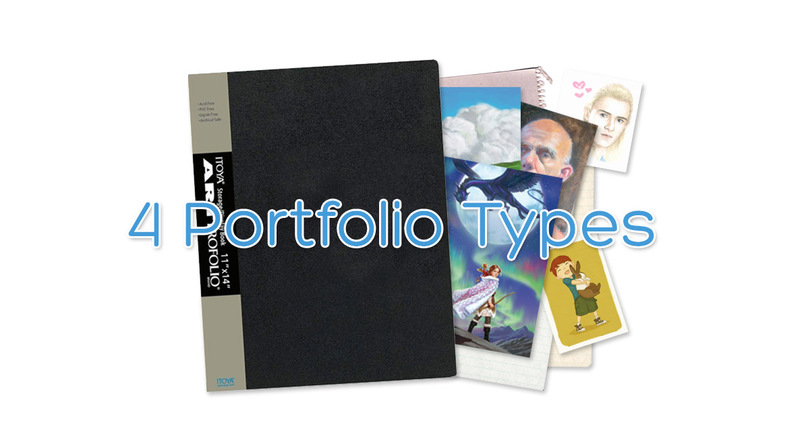 Thank you for the visuals to understand what a consistent, professional portfolio should look like.